“Tummy time” is a cute little phrase referencing an essential infant exercise that our pediatric occupational therapists know so many parents come to dread. Per the American Academy of Pediatrics, tummy time should start when your child is a newborn, placing your child (always supervised) on their tummies. This begins with short, 2-to-3-minute increments three times a day and eventually extending it for longer periods of 30-to-40-minutes as they get older. 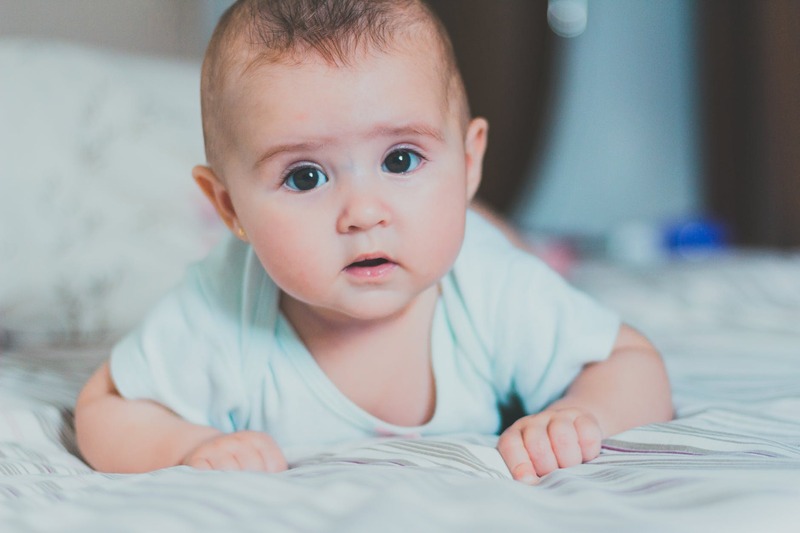 The whole concept of “tummy time” started back in the early 1990s, when the AAP first began recommending that babies be put “back to sleep,” placed on their backs during naps and at night to reduce the incidence rate of sudden infant death syndrome (SIDS) – which has really worked! Researchers around the globe report SIDS deaths have decreased 40 to 50 percent since the Back to Sleep campaign began. The problem is this has been accompanied by a rise in other problems physicians and pediatric occupational therapists believe is related, most commonly plagiocephaly. In layman’s terms, this refers to when infants develop a flat spot on the back of their skull. The American Academy of Physical Therapists reports an “alarming rise” of skull deformation, with one analysis published in the Cleft Palate-Craniofacial Journal finding it rose approximately 600 percent from an incidence rate of 5 percent prior to 1992 (when the “Back to Sleep” campaign began) until now. “Back to Sleep” is almost certainly a driving factor, but also the increasingly inordinate amount of time infants spend in car seats, strollers, etc.